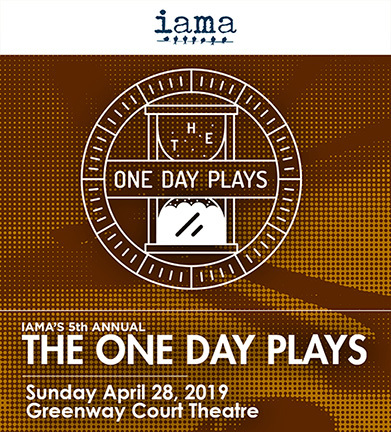 The One Day Plays — Six plays are conceived, written, rehearsed and performed for a live audience within a 23-hour period. Here’s how it works: members and friends of IAMA Theatre Company meet the night before to pair up directors, writers and actors by drawing names from a hat. Once the six “teams” are chosen, the writers have nine hours to write the scripts. Actors receive them the morning of the show to rehearse and memorize. That night an audience arrives and watches six fully realized plays that did not exist one day earlier. Sunday, April 28 at 7 p.m.